People who don’t know when to use the word “reboot.” The new Star Wars trilogy is not a reboot! The X-files revival was not a reboot! The new Rosanne episodes is not a reboot! I was coming in here to make this exact same Calvin & Hobbes reference. I'm so smart. I'm irritated no one appreciated the Calvin and Hobbes reference I made three years ago on the first page. Roseanne isn’t a reboot but it is a retcon— Dan died! 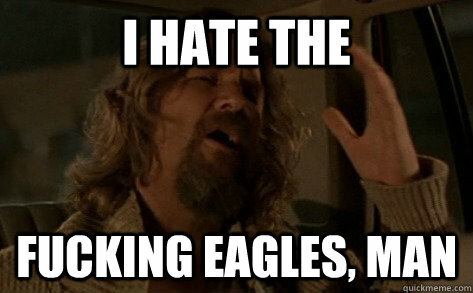 I'm usually annoyed whenever I hear Sting/The Police or the Eagles playing somewhere. Dan's not dead, they won the lottery and Rosanne fought off a train of women-hating terrorists from Manastan and was rewarded with a thank-you from Hillary Clinton. I don't except any canon expect accept that.